While those of us running classified and job banks in Canada scrambled to modify our websites to comply with the new anti-spam legislation our US based competitors were busy not caring. 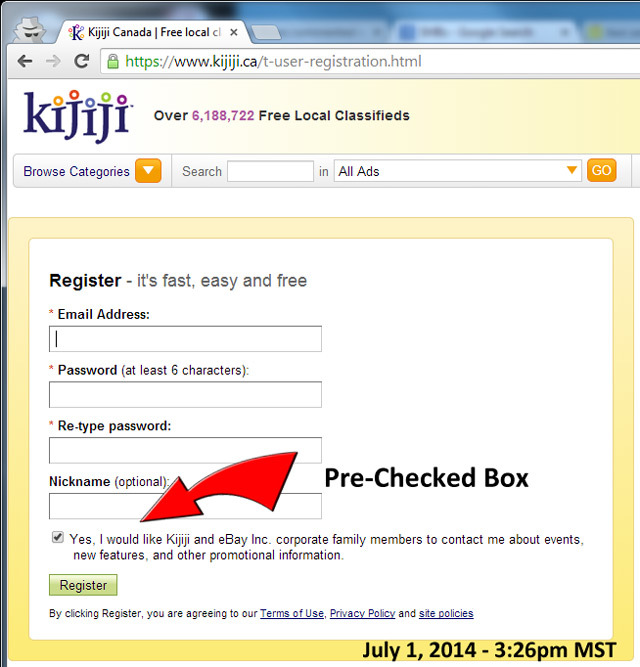 Kijiji for instance made no attempt to modify their registration form with an opt-in system. 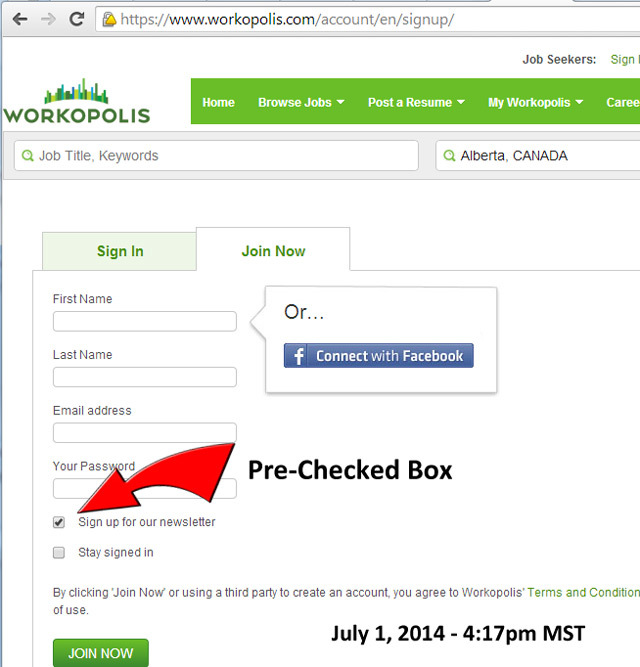 It is the afternoon of July 1st and they still have a pre-checked box forcing users to opt-out if they do not want to receive promotional information from Kijiji and Ebay. Will the CRTC do anything about this? Are they just going to give large US based corporations a pass and leave Canadian companies to jump through the fiery hoops of CASL? 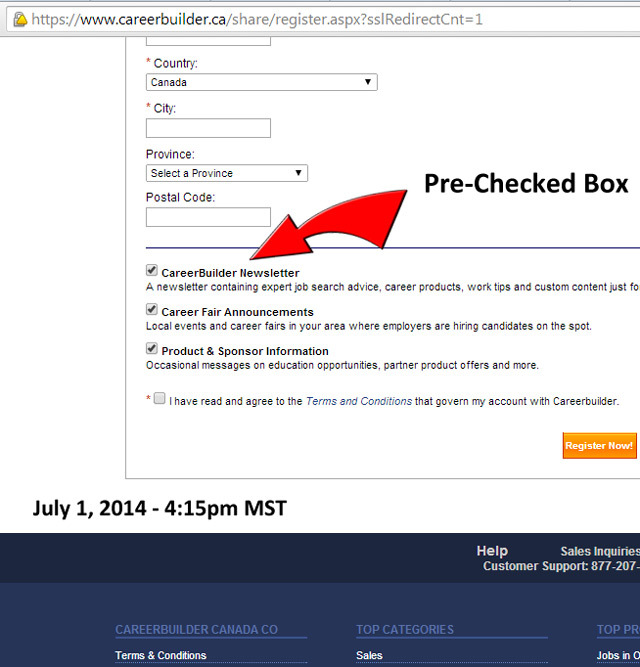 I will be checking on a regular basis to see if Kijiji (eBay) will bring their sites into compliance. And I will be following up to see if Canadian Radio-television and Telecommunications Commission is going to ensure that these companies go back and get "express consent". Other websites that I found who ignored the anti-spam legislation include; OLX (No opt-in or out available), Workopolis (opt-out only), CareerBuilder (opt-out only).